Overlooking 2 large ponds, on BEST west side Teton Valley, this 1.39 acre lot is adjacent to manicured, well landscaped and irrigated open space on both E & W maintained & mowed by the HOA. Paradise Springs, one of the finest subdivisions in the valley with gated entry, lush irrig. landscaping, mountain views, 18 acres of open space with 2 large lined ponds, trees and wildflowers. Access to Natl Forest within two miles of subdivision. Paradise Springs is a PUD subdivision - that is, it has open space set aside in perpetuity. 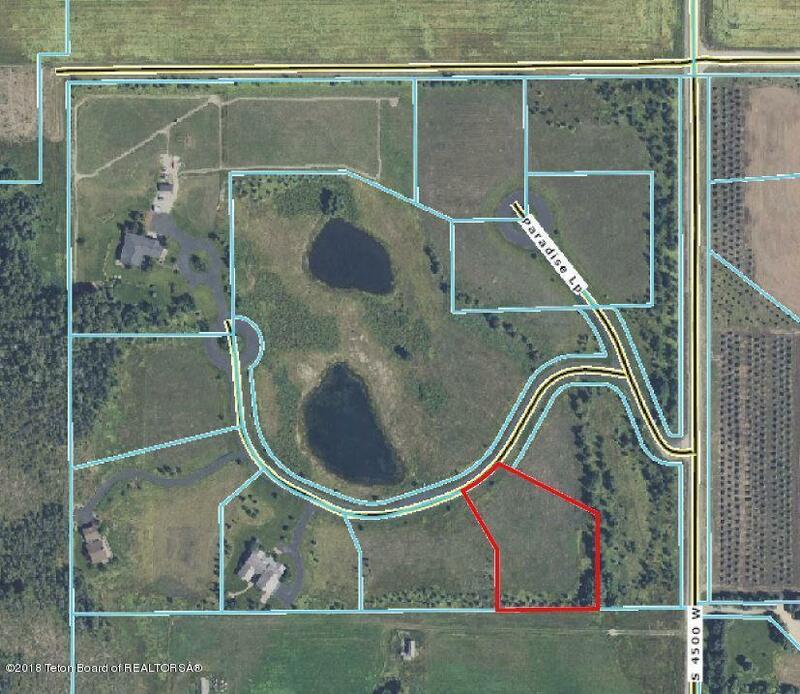 Two large beautiful ponds which draw incredible water fowl and abundant big game.The well landscaped berm on east boundary is 2.24 acres of perpetual open space which blocks the traffic view and sound from County Road 4500 West. ALL PAVED ROAD ACCESS- no gravel road !